Notice to Guests | Ich bin ein Sender. Ich strahle aus! | I am a sender. I transmit! In 1974 Beuys visited Chicago, and it was during this trip that Notice to Guests was conceived. 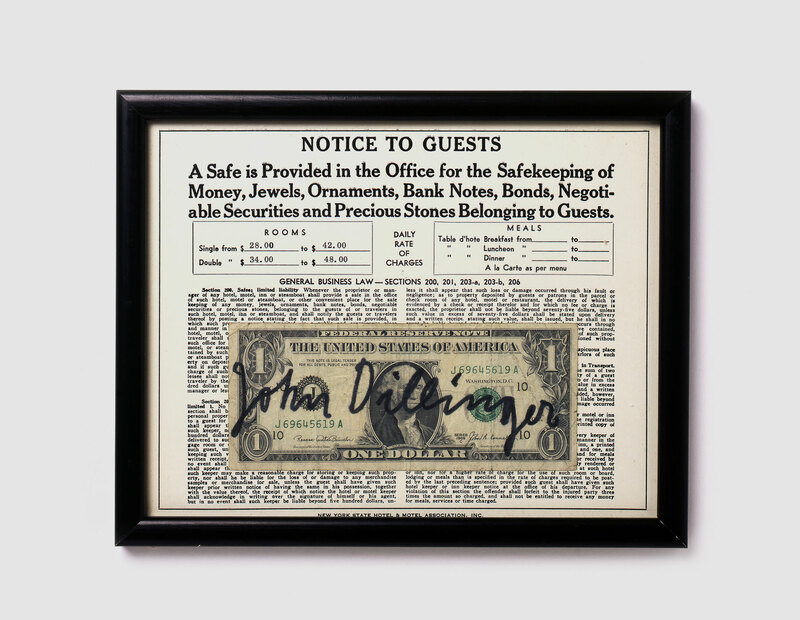 The work consists of a framed reproduction of a hotel notice informing guests that a safe is available for their valuables. 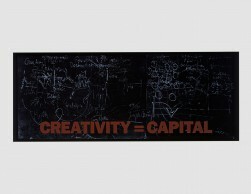 Affixed to its surface is a dollar bill signed by Beuys, though not with his own name. Instead he has inscribed the name of John Dillinger, a Depression-era gangster. 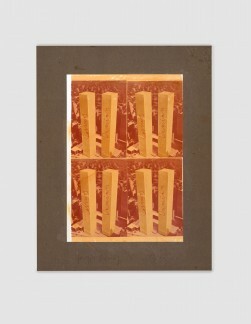 By assuming Dillinger’s identity in this work, Beuys was not simply being playful: he was also affirming his belief in the sovereign power of creativity.